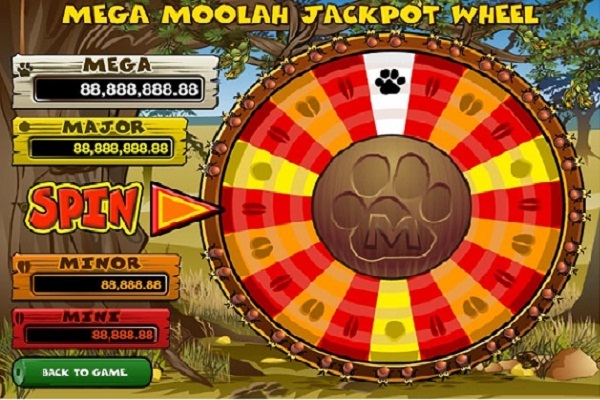 Mega Moolah is a four-tiered progressive jackpot slot that has grown in popularity since its launch. It features a unique African safari theme with five reels and 25 paylines. The game’s symbols were inspired by the movie The Lion King. The animals used include a buffalo, giraffe, zebra, elephant, lion and antelope. This game is a product of Microgaming and was launched in 2009. Since then, it has created many multimillionaires. Although the game has a relatively low return to player of 88.12%, you will have numerous opportunities for huge prizes. As of April 2018, this video slot had a progressive jackpot of $1,778,226.80! Just like any other slot game, Mega Moolah is easy to play. Players can select up to 25 paylines on which to bet. With this slot, you can bet as few as five coins per line to a maximum of 125 coins. In addition, the bet size of the game ranges from $0.01 to $0.05. Players are paid per line for regular wins. Before you start playing, you must use the game controls to adjust your coin size and the number of win lines. The game comes with wild and scatter symbols to boost your chances of winning. The Wild Symbol: The wild symbol is represented by the lion, which substitutes any randomly drawn symbols (except the scatter symbol) to form a winning combination. Moreover, this symbol has its own winning combinations. For example, getting five, four, or three symbols on any active like will reward you with 15,000, 1,500, and 125, respectively. The Scatter Symbol: In the game, the purple monkey is the scatter symbol. It can be scattered anywhere on the paylines to form a winning combination. Additionally, this symbol cannot be scattered by either the wild multiplier or the wild (lion). All wins are displayed as multiplier values on the pay table. One of the most appealing things about this progressive jackpot slot is the action and fun it creates for the player. Its high-quality graphics and immersive sound effects will get you in the mood for fun. The background color aligns with the African safari theme, and the sounds of traditional drum beats, chanting, and animal calls will enliven your playing experience. In general, this video slot offers the best gaming experience and stunning graphics to keep you on the edge of your chair every time you play. There have been several big wins in the game’s history. For example, Jonathon Heywood won $17.9 million in 2015 and Rawiri Pou won NZ$10 million in 2016. Normally, casinos offer this game on a separate screen. There is a big wheel that is divided into 20 sections, i.e. 10x mini jackpots, 3x major jackpots, 6x minor jackpots, and 1x mega jackpot. 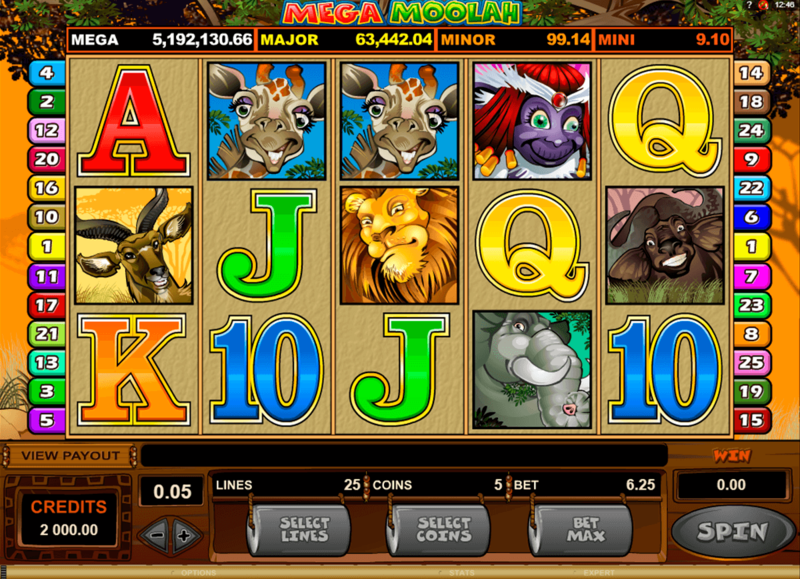 Other than the generous progressive jackpot, Mega Moolah has several special features. A free spin feature is activated when you land three or more scatter symbols. Also, all winnings you get from the free spins are multiplied. The jackpot wheel may pop up randomly, though typically for high rollers.